Fast Upload to Amazon. How to upload and download files to and from Amazon S3. 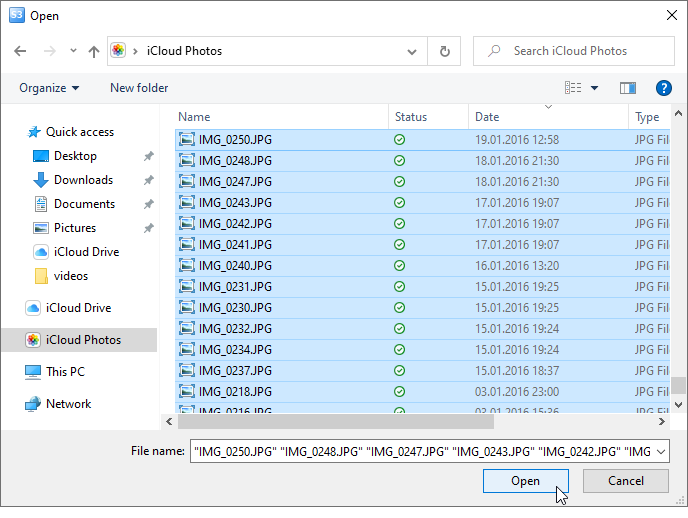 How to Upload and Download Files to and from Amazon S3. Fast data upload to Amazon S3. Download from S3. How to increase uploading and downloading speed. Using S3 Browser Freeware you can easily upload virtually any number of files to Amazon S3. Below you will find step-by-step instructions that explain how to upload/backup your files. 1. Start S3 Browser and select the bucket that you plan to use as destination. You can also create a new Amazon S3 Bucket if necessary. Selet the bucket that plan to use as destination. 2. Click the Upload button and choose Upload file(s) to upload one or multiple files or choose Upload Folder if you want to upload a whole folder or whole drive. 3. Select the files you want to upload. The upload process will begin. You can track the progress on the Tasks tab. You can see currently uploading files on the Tasks tab. The context menu allows you to start, stop, cancel and retry the tasks. 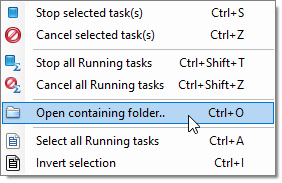 Tasks context menu allows you to start, stop, cancel and retry the tasks. With S3 Browser Pro you can significantly increase uploading speed. To learn how to upload your files to Amazon S3 at maximum speed possible, click here. S3 Browser automatically saves the queue. You can restart application and continue uploading. For large files you can resume uploading from the position where it was stopped. Data integrity: you can enable data integrity test to ensure that data is not corrupted traversing the network. When you use this option, Amazon S3 checks the file against the provided SHA256 hash and, if they do not match, returns an error. Open Tools, Options, Data Integrity to enable data integrity checking. Click here to learn more about Data Integrity checking. 1. 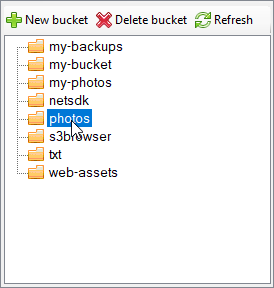 Start S3 Browser and select the bucket that contains the files you want to download. Selet the bucket that contains the files you want to download. S3 Browser will start downloading your files and will display the progress on the Transfers tab. If you need to download a large number of small files, you can speed up the process by increasing the number of concurrent downloads (see below). Data integrity: you can enable data integrity checking to ensure that data is not corrupted traversing the network. When you use this option, S3 Browser calculates the hash of downloaded file and compares it with the hash provided by Amazon S3, if they do not match, returns an error. Open Tools, Options, Data Integrity to enable data integrity checking. Click here to learn more about Data Integrity checking. 1. 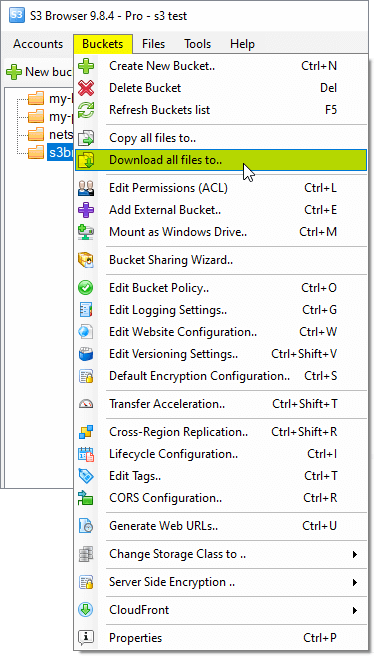 Select the bucket you want to download and click Buckets -> Download all files to..
2. 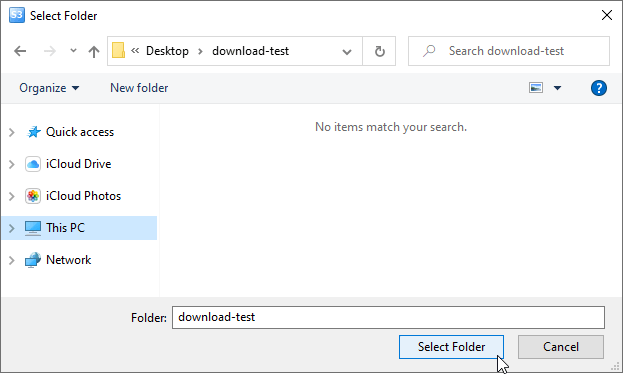 Select the folder on your local drive and click OK. S3 Browser will enumerate all files and folders in source bucket and download them to local disk. 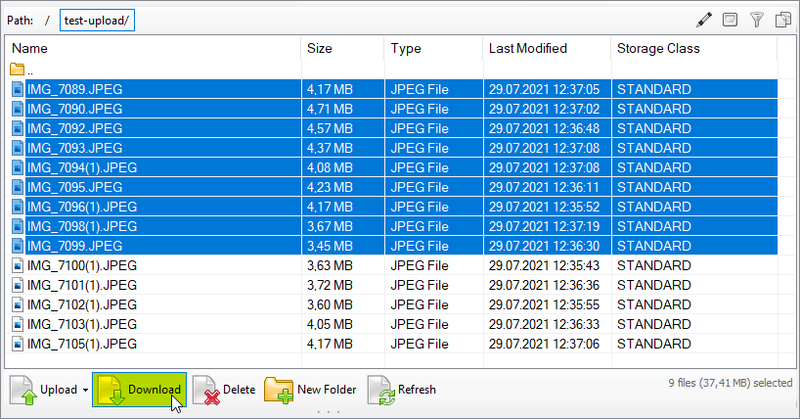 Pro Version of S3 Browser allows you to increase the number of concurrent uploads or downloads. This may greatly improve performance when you need to upload or download a large number of small files, or when you need to upload large files to Amazon S3 at maximum speed. To learn how it works, click here. 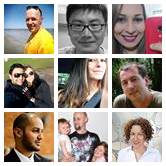 To obtain Pro version of S3 Browser and unlock Pro features click here.